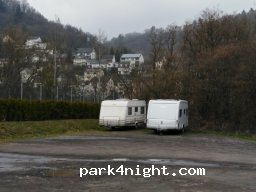 Aire Marina Kutschner Bad Ems. Along the side channel at Lahn. At the swimming pool, close to the Centre, model ve, restaurants nearby.